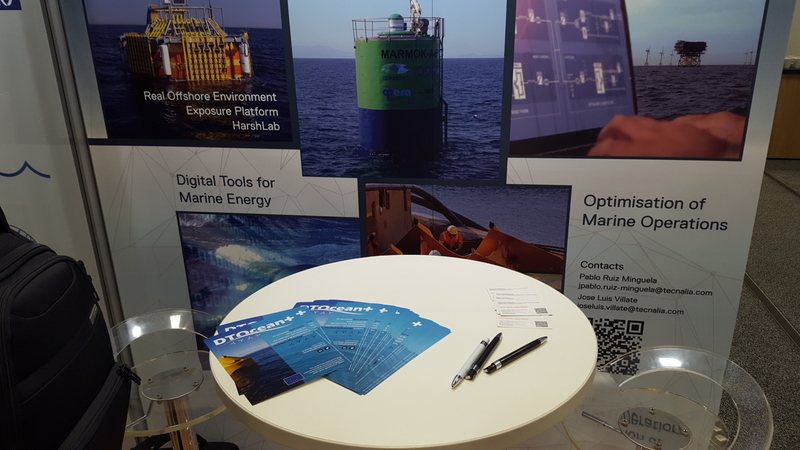 From 30 to 31 October 2018, DTOceanPlus was presented at Ocean Energy Europe 2018 that held in Edinburgh, United-Kingdom. On its stand, Tecnalia was presenting DTOceanPlus project and distribution leaflets. Over 400 professionals from all parts of the industry and from 22 countries attended to this event. It was a very good opportunity of dissemination for the project. Audience measurement service provided by Google, generate statistics useful to improve the site.